Some movies entertains you so much that you don’t really care about the logic or mind the clichés. The smart dialogs, appreciable performance by both the lead as well as supporting cast and, rightly placed songs. Humpty Sharma Ki Dulhania is one such movies. It never bores you, except for some time in the second half. And hey! Who doesn’t mind a couple of speed breakers if the road is really good and offers a good ride? 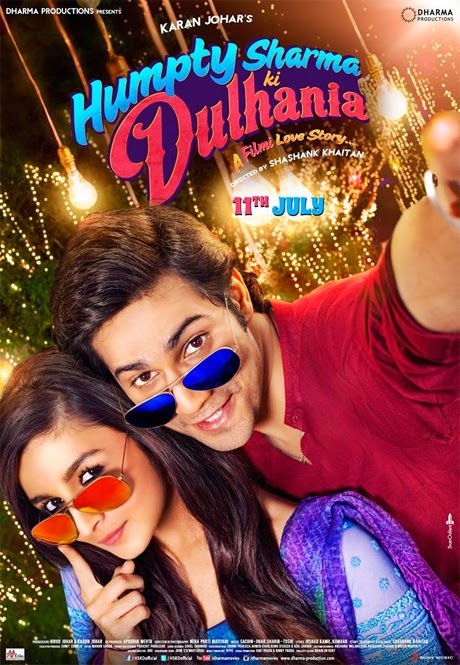 The strength of the movie is the lead pair themselves, Varun (as Humpty) and Alia (as Kavya Pratap Singh). They look lovely and their chemistry is irresistible. They are at ease and sizzle onscreen. I should also specifically mention Sahil Vaid who comes across as Varun’s friend Poplu. He is at his comical best and looks really sweet. The movie becomes too relatable owing to the Bollywood references they make. This also makes the movie seem more real. Come on, let’s face it? Aren’t we a generation who have grown up watching Shahrukh Khan? Weren’t we amused by the unsaid love depicted in DDLJ? Alia’s costumes are so wearable and very vibrant. She looks a lot like Kareena Kapoor. I am sorry. I really felt so! The songs are average. They fail to linger around with us except one – Samjhawan. It is melodious and soothing. The lyrics touches your heart and refuse to leave! In short, the movie would not bore you. Instead it will entertain you and the 124 minutes spent in the theatre would be a fun-filled time.